How to make a Traditional British Eton Mess and Knowing the Source of a Recipe (it can be the difference in you being a good versus a bad cook)! Traditional British Eton Mess truly needs no recipe, in my opinion. However, what if you’ve never heard of Eton Mess? This is probably the case with most people outside of the UK, and if you have heard the name in passing, you still may not have a clue what it is. 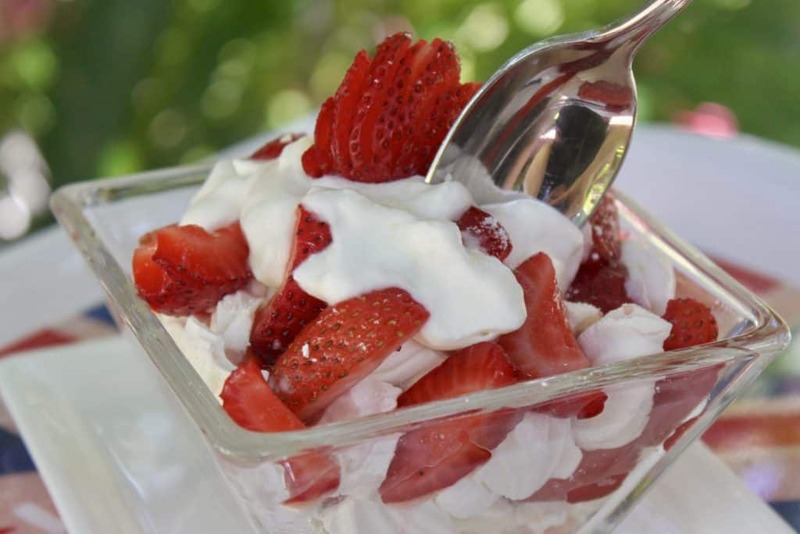 For the Eton Mess recipe, scroll to the bottom, or click on the photo below. The other day I happened across another blogger’s post and recipe for Eton Mess. She wasn’t British and as far as I could tell, quite possibly had never even been ‘across the pond’. Why did I think this? Because her description told me that she truly didn’t know what Eton Mess was. 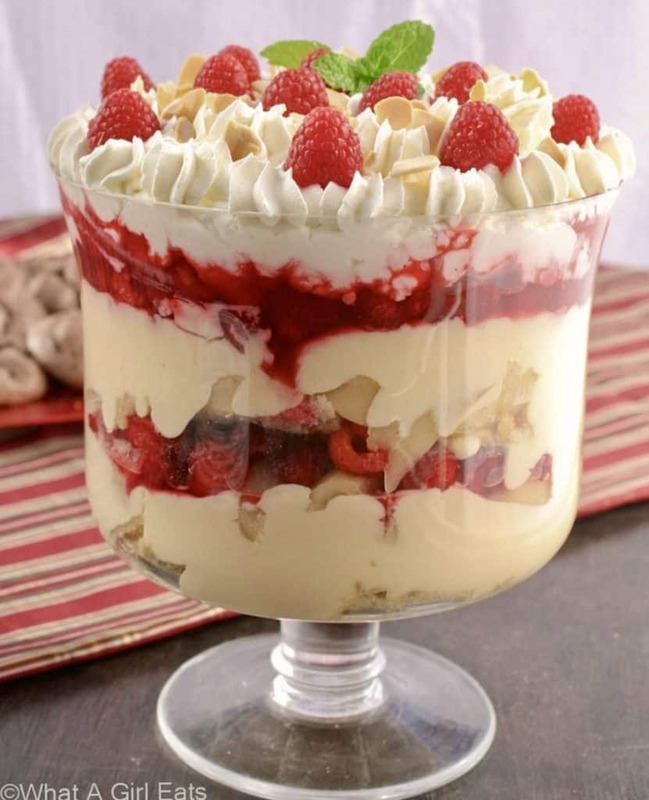 She described it as a trifle. Eton Mess is not a trifle. 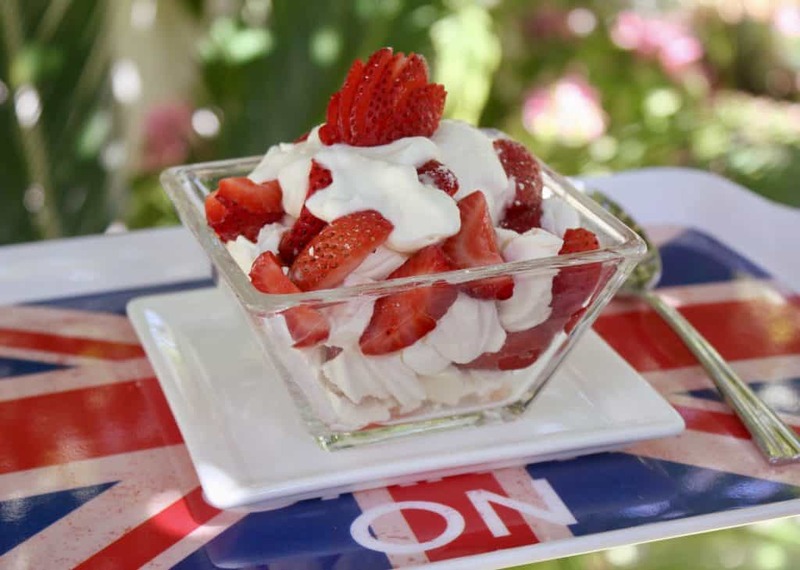 Eton Mess, for those of you who don’t know, is a dessert consisting of crushed meringues, strawberries and cream; not layered as a trifle or with the ingredients of a trifle. Credit, where credit is due-on recipes. Does it exist anymore? I must also note that most recipes I see on many blogs and recipe pages contain no credit to the original source, or source of inspiration. We can all admit, no one is truly creating a truly “original” recipe at this point in time. I always try to credit each recipe I share because it gives the reader a sense of background on the recipe and it’s just the right thing to do. Whether it was something my Nonna made and passed down to her daughters, a recipe I created from one I had at a restaurant, or one I’ve been using from a favorite cookbook, I will almost always credit a source with “credit…”, “adapted from…”, or “inspired by…”. When I go to a site and see a recipe for a cake and the authorship for the recipe goes to the young blogger who has never been to cooking school, I wonder where he or she originally got the inspiration/original recipe from. A few years ago, I came across a blog post which blew me away. 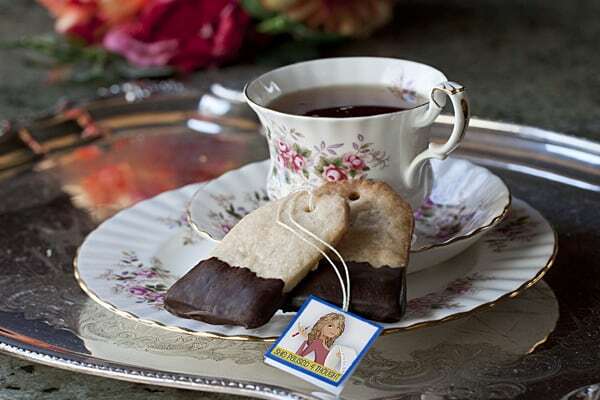 It was so ridiculously similar to my friend Cathy’s recipe post (from two years prior) for teabag cookies AND hedgehog cookies! I actually called the blogger out on what she’d done. It was so obvious that no one would ever post about such a random pairing of cookies on the same post. 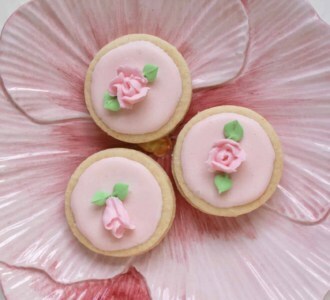 To add insult to injury, the food styling with pink china teacups was the same, too. She also had a photo on how to use a straw to make the hole for the string for the teabag, identical to Cathy’s. Not only did she deny that she’d seen it, but she gave credit to two other bloggers, and to this day, has never changed a thing. My point: I see things like this EVERY. SINGLE. DAY. Most readers never question the source of a recipe, and why should they if they have no idea that this is going on? I asked my Facebook readers about recipe searching the other day, and out of hundreds of responses, only one reader stated that she actually considered whether the recipe was the author’s own work. The majority of recipe-searchers find a recipe, maybe the photo looks good (I’ve had legitimate online sources–newspapers–publish my photo with someone else’s recipe–I kid you not), ingredients look right, so they try it. Whether it works or not is another issue. Where does the blame lie? You’re probably not such a bad cook after all! Have you ever told yourself you’re a bad cook or you’ve failed trying to make or bake a recipe that you were excited about? Did you ever consider that it’s not YOU, but the recipe? There are so many recipes available that have never (ever) been made in a kitchen! 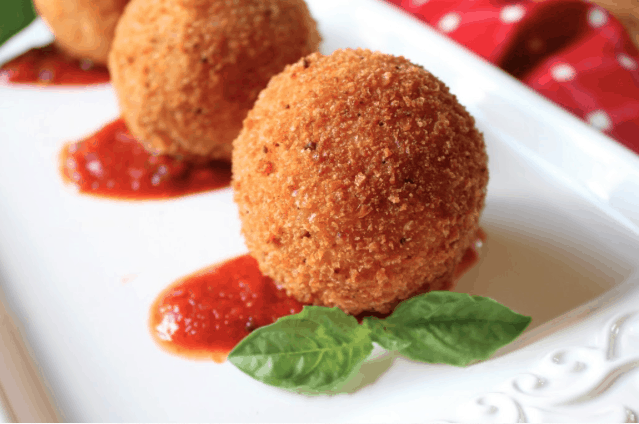 For example, I cannot tell you the number of arancini recipes I’ve seen that I can tell that from just reading the recipes that they won’t produce good results. I feel terrible for people who will endeavor to make them, only to be disappointed with a failure and blame themselves. Most people won’t know that a recipe won’t work just from reading the ingredients and directions. 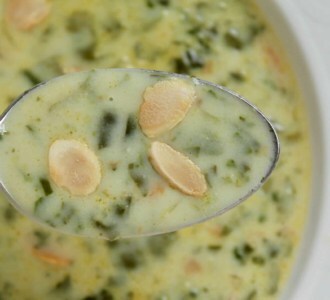 I personally know of a site where the author buys a stock photo and creates a recipe to go with said photo. No wonder she claims that food blogging is easy! It is if you never have to buy ingredients, prepare them, cook them, photograph them, clean up, or edit the photos! However, would you want to use her recipes? I can tell by reading them that they are a disaster waiting to happen. It’s so sad for anyone who finds and uses them. How to find a trustworthy and reliable recipe. So what is a reader to do? Know your source. If you’re not going to your favorite blogger’s site that you already know and trust, when you do a search, look at the “about” page. Isn’t there one? Hmmm–that’s the first red flag. Many of the scraper sites that steal online content make their page look like a blog, but there is no trace of a human, no way to email or contact. I’d advise you to steer away from all of these pages. 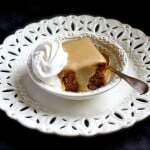 Does the author have the knowledge/authority/experience to post this recipe? Is the recipe for Eton Mess? Is the author British? 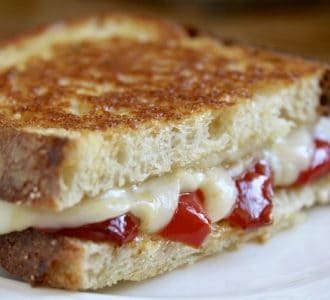 Do they explain some British connection in their post that would make their recipe trustworthy? 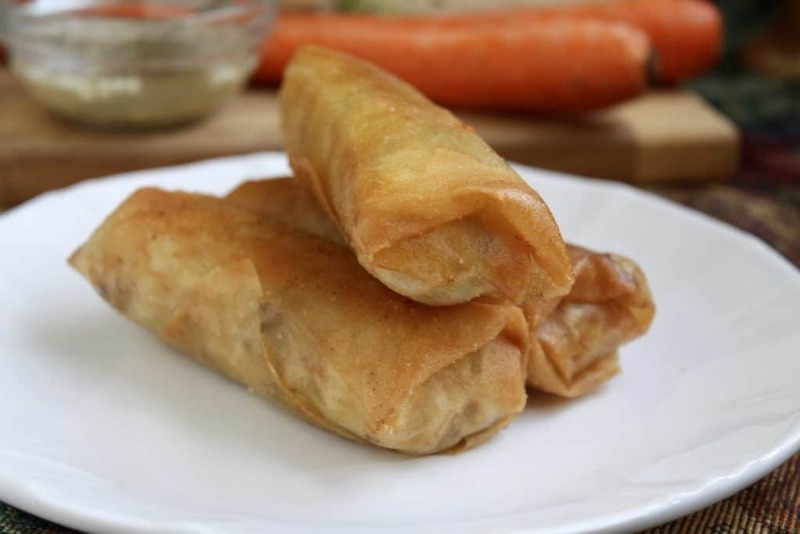 For example, I recently posted a recipe for Filipino Lumpia. Filipino Lumpia on a Scottish/Italian focused site? Here’s the reason you can trust my recipe: my next door neighbor taught me how to make them. The recipe is authentic because she is from the Philipines. Many of my readers stated that they use AllRecipes as a resource for finding recipes. Here’s the problem with AllRecipes, Epicurious, and other sites that allow uploading of recipes to their site: anyone can copy and paste any recipe to that site. There is no credit given from where the recipe came from, and the fact of the matter is, most people have no idea that what they are doing is illegal (copyright infringement). They truly mean no harm, but it’s a big problem for recipe developers. What is the author’s background? Trained chef? Home cook? Ethnic cooking in their repertoire? Baking pro? “Jack-of-All-Trades”? I’ve learned that just because someone has gone to cooking school doesn’t mean that they’re a great cook. A home cook who has never been trained can also be a fantastic cook. If someone is spouting off how fabulous a recipe is without credit to a source, background or authentic reviews from readers who have made that recipe, do a bit more looking. Do the recipes seem like they belong on the same site? Or is it a crazy conglomeration of the latest foodie fads and whatever else has struck their fancy that week? I often find that sites with the most authoritative voice on having “the best recipes out there”, tend to be among the weakest. Take for example, Amanda from i am baker, who I’m sure could bake and decorate cakes in her sleep. Amanda never toots her own horn, but lets her creations do the talking for her. Don’t get me started on all the faux Italian recipes that are floating around the internet. It does my nut in, it truly does! 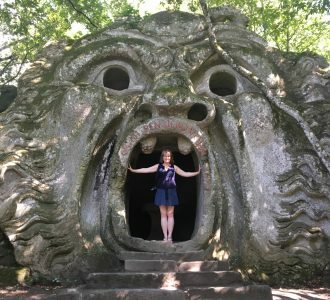 Why use the word “Italian” when nothing remotely similar has ever been seen across the entire Italian peninsula from the time that the Etruscans were there? Ugh. 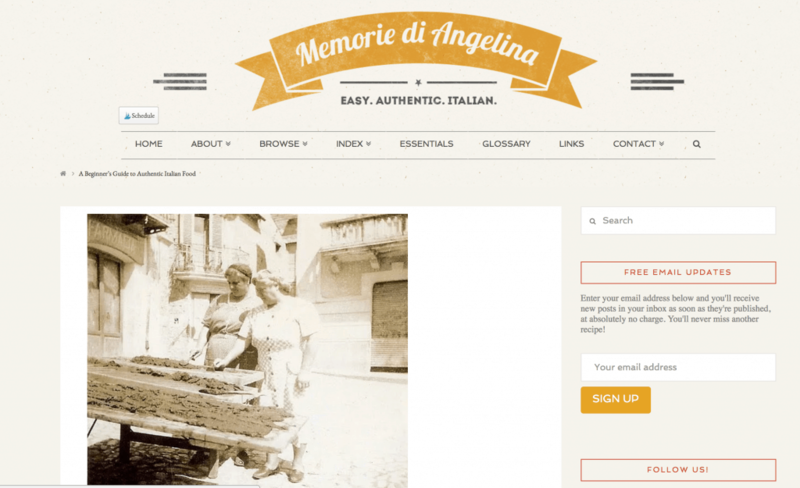 Want a super source for authentic Italian food? Then go to a site like Memorie di Angelina. Frank gives an in depth history of the dish and so much more than just a recipe. You just may end up reading his posts even if you don’t like to cook! I’m very cynical when it comes to reviews, in the same regard as when I read TripAdvisor reviews. Why? I don’t know who is commenting. Have they ever cooked before, and have they actually made the recipe? Does the reviewer only comment on the recipe or dish itself? 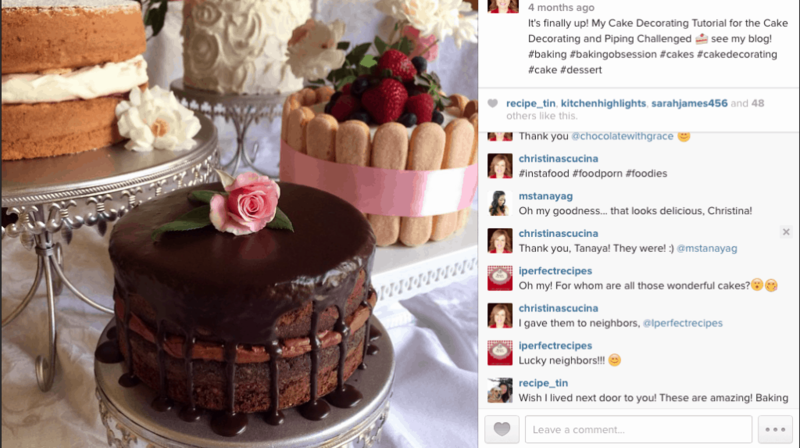 Many times, other bloggers comment on a friend’s recipe, simply as a matter of support. I do this and in turn, receive similar comments on my recipes. Scroll past these and look at the comments of people who have made the dish. A thousand comments doesn’t equate to a good recipe. I rarely delete any comments, even if they are bashing my recipe, because in the midst of a sea of great reviews, it will be clear that the problem isn’t with my recipe, but with the reviewer. For example, when I first posted my Perfect Yeast Doughnut recipe which I slightly adapted from a bread cookbook, I got some really mixed reviews. Some raved, others complained–a lot! What I realized after a while, was that the negative reviewers weren’t taking my advice on weighing the ingredients and were making BIG mistakes when using cups. They were mixing up weight and volume which was their fault, not mine. However, they would come back to my recipe page and rip me and the recipe apart. I can’t tell you how frustrating it was on my end, knowing that this was such a solid and foolproof recipe. Finally, I did what I should have done to begin with–I removed the cups measurements so if anyone wanted to make my doughnuts, they’d have to weigh the ingredients. Guess what? Problem solved! No more nasty and negative comments! Great reviews keep rolling in and I couldn’t be happier! 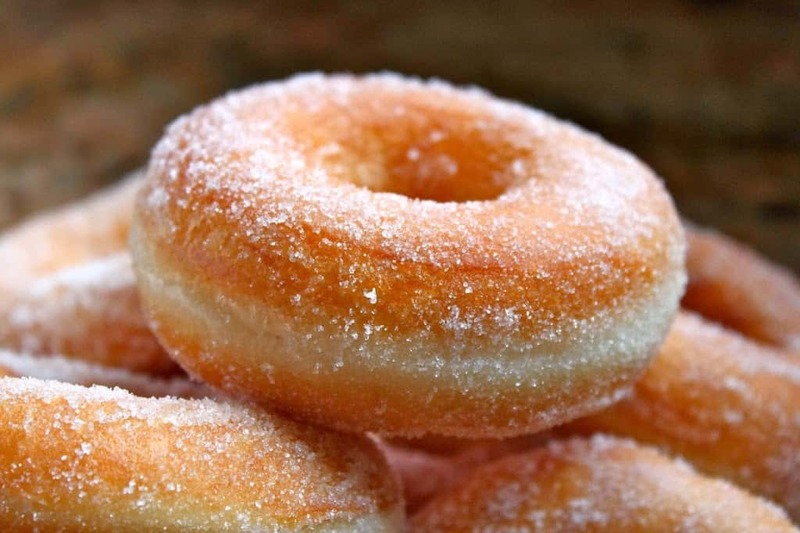 However, my readers, I’m sure, are even happier with their perfect, fluffy doughnuts! I hope that after almost 6 years of sharing recipes (and travel tips) that I’ve gained your trust. I know for a fact that many of my readers can trust my recipes because they’ve tried them and they work. This is a recent comment I received, and I can’t tell you how much it meant to me. My recipes are reliable because I won’t post anything which hasn’t worked for me. In turn, there are certain bloggers who I have learned that I can trust. The most obvious is a friend whose recipes I share on my Facebook page every day: Cynthia from What a Girl Eats. Not only do we have the same “foodology” (I couldn’t resist), or ideology regarding food, such as keeping away from processed ingredients, but we are also honest and ethical. Cynthia’s recipes are solid for a minimum of two reasons: she’s gone to cooking school and is passionate about cooking. Cynthia has also traveled all around the world, including living for some time in the UK. Whenever I ask her for cooking advice, she’s never at a loss. Now THIS is a trifle!! 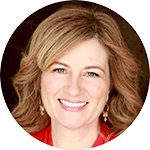 Of course there are other fabulous bloggers with very reliable recipes, and you’ll see them shared on my Facebook page, too. 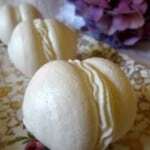 For example, Jill from Mad About Macarons has some phenomenal recipes that are simple to make, too (I’ve used them). 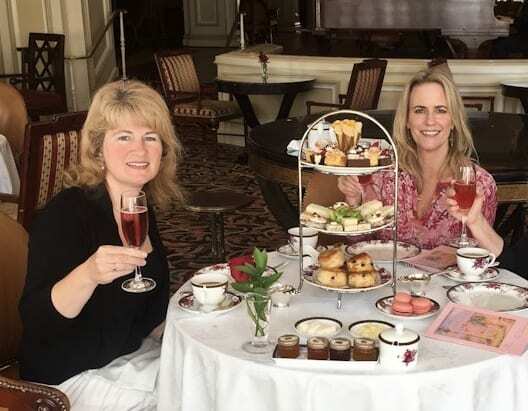 I’m going to add that you should be following Nancy Birtwhistle (Great British Bake Off winner) on Facebook or Twitter as she’s been sharing brilliant tips. Saying that her baking is top-notch goes without saying, too! Back to Eton Mess. I’ve had this classic British dessert on my list of recipe drafts for years. Having a Scottish/British site, it’s almost a crime not to have the recipe available. 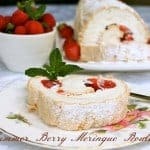 However, given that Cynthia already has Eton Mess on her site, I’m going to send you there for this super-easy, summertime dessert. 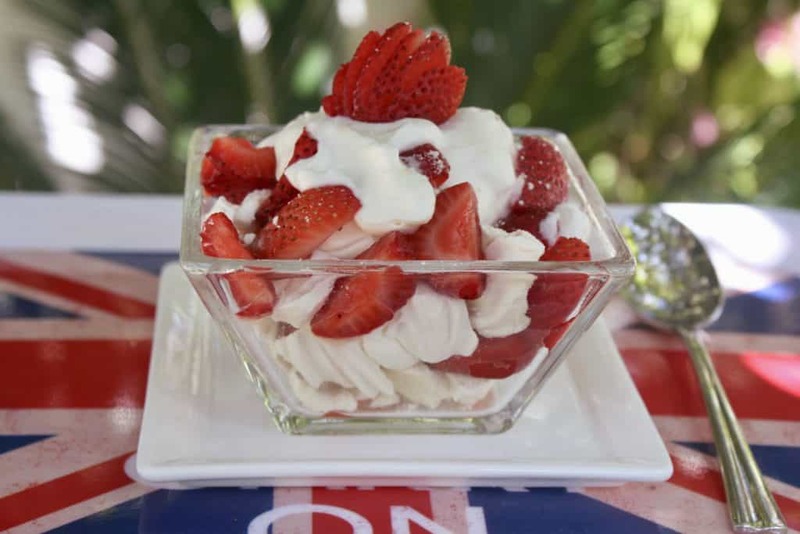 Click the link or photo below to go to Cynthia’s recipe for Eton Mess. What’s your experience in using recipes you find on the internet? Do you look for more than a few sources, or go with the first one you find on google? Are my tips helpful? Let me know in the comment section below. 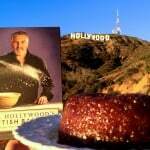 Paul Hollywood’s Treacle Sponge Pudding and The Great British Bake Off Comes to the US (right before Downton Abbey)! All great points and I’m glad you wrote about them. I’ve been on a recipe hunt lately because I’m using a new meal planning program. I have saved more than one of your recipes there! I am happy to say that the creators of the program were very thoughtful of how the recipes are created. Imported recipes are all directly linked on the page. If a friend sees a saved recipe on your profile, she can’t just copy your save. Instead, she must click on the original link to go to the recipe source and import it herself from there. It definitely avoids the Pinterest effect of saving what looks like a great recipe but is really only a nice picture. That’s really good to hear, Michelle! There was one meal planning site that didn’t do this (as you described) and it was simply infuriating as they were essentially stealing all recipes, but charging for the compilation of them!! Terrible. Thanks for saving my recipes, I appreciate the love! :) Happy new year!! Not sure if this is meant as funny or facetious? Sorry. Christina, what a brilliant post and extremely well said (I am so behind on your posts so apologies for seeing this so late after travelling). I totally agree with you on everything – and I mean everything! I’m absolutely thrilled that you included me as a reliable recipe source – thank you! 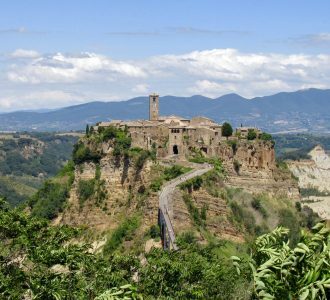 I think the world of your authentic Italian and Scottish recipes and love what you do. It’s funny (or not), that many reviewers in the USA criticised my first cookbook since the measurements were not in cups but by weight. I even had a one-star review since the book said it needed scales to make the recipes. I mean … Then on my blog, I’ve actually had someone ask via Facebook if they could replace a fish stew with beef . Of course the result will be awful! As you say so well, writing and developing recipes takes a lot of time – and most of it is in the testing. Surprisingly, I’ve seen many professionals who are used to producing incredible dishes but not as good at writing up the recipes in detail. Huge subject that you cover extremely well. You rock, Christina! Isn’t that just so unfair, Jill? I mean rating a one star because of a fact? One simply MUST have scales to bake precisely when it comes to French pastries, especially! :( So sad that ignorance causes so many problems. Thank you for your kind words and just keep doing what you do so well! This is a super important issue. My hubby is working on recipe development as I will be adding twice monthly recipes to my own blog. As my husband has been researching etc. and getting to know the food blogger ecosystem he has been shocked at how bad bloggers are with the sourcing and authenticity of recipes. We have been discussing it a lot! Glad that you have paid attention to that, Andi. Hopefully more people will follow suit! 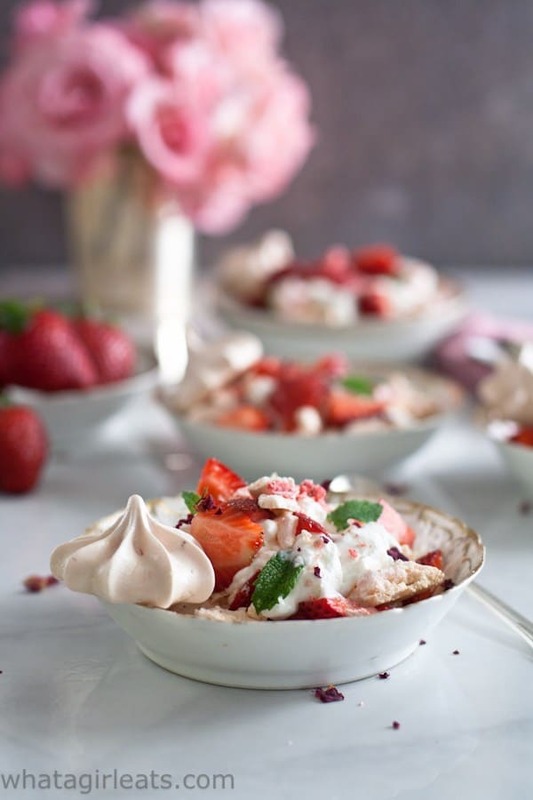 Oh goodness, you NEED Eton Mess in your life, Jenna! Your passion and authenticity always shine through! All your recipes I tried have turned out fabulous and delicious! WOW! So much great insight and information! Thanks for sharing! Thanks, Cynthia. Yes, most people won’t know ever think about these things. Eton Mess is such a classic and I can’t believe it’s been nearly 15 years since I had it! It was in the home of a dear friend while I was living in England. I remember the contrasting textures of the silky cream and crunchy meringue was such a delightful combination. Thanks for sharing! Oh dear that is entirely much too long to not have had Eton Mess, Kimberly! It’s almost a rotational recipe in our household! Ha Ha! I am in total agreement with you on everything, Christina! Especially when it comes to “authentic” Italian recipes. Frank’s site is definitely one of the best out there – yet they are “Professional Italian chefs” who consistently post non-authentic recipes. 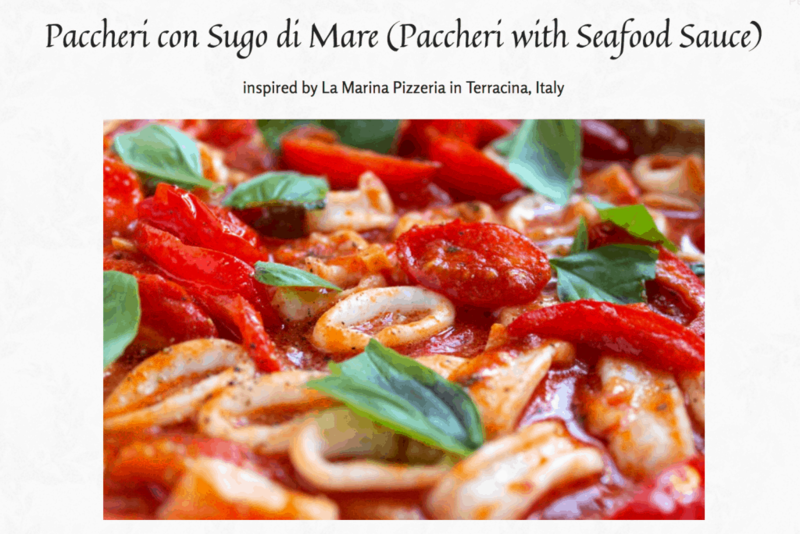 I find the most authentic Italian recipes from bloggers like Frank and you! And, I love a traditional Eton Mess, which I learned from a friend in London. The funny thing is that she said, “it’s like a trifle, but better!” I think that was her way of trying to tell an American what it was. – If it has 1 stick (8 oz) of butter, move on, unless it comes with a pair of bigger pants. – Although professional chefs write recipes, it’s not unusual someone else entered the recipe on their website, and may include errors/omissions. – 12 years have passed, and no, we don’t all remember if it came from magazine, coworker, or the back of a package of macaroni. However, quite another thing to publish as “my” recipe. Hi Christina, I have found many good recipes online. I search the recipe that I want and then read just about every single recipe that comes up. I read the reviews, too…but only the ones who actually made the recipe. I absolutely hate when people comment things like, “Oooh, that looks delicious. I can’t wait to make it.” Ugh, MAKE the recipe THEN comment! But I digress. I’ve even made some recipes that got so-so comments from most users, but had a good number who said the recipe was so-so until they did X and then it was great. I’ve made the recipe with X and it was great. The bottom line is that the comments make a big difference for me, but must be read critically. Thanks for the blog suggestions (I’ve been following Nancy and I love her tips). I completely understand, Debra. Unfortunately, sometimes if we don’t make these rather inane comments, we will have ZERO comments on our recipes. We don’t like that :( So bloggers support each other, and this is the result. Wish there was a way around it, but I can’t think of what it is. I agree that the reviews should be read with both eyes open! Helpful commenters provide their experience making the recipe – as close as possible to how it was written. But, also helpful substitutes or modifications. Unhelpful commenters made a different recipe entirely and then claim it “didn’t work”. Smitten Kitchen is another great blog. She attributes her recipes and answers lots of questions. She’s good at identifying where substitutions are possible and where not, which steps are essential, etc. Oh goodness, Maggie! You hit on something that I didn’t even discuss, and I totally agree! Yes, Smitten Kitchen is definitely a reliable site. In regards to commenters, I’ve seen comments on recipes on Epicurious where the reviewer said, “I made the recipe exactly as written except for…”and then lists 3 major changes to the ingredients/directions. Then they say it didn’t turn out, and it’s a terrible recipe and give a 1 fork rating! I always say that those reviews should be deleted as they are not only unfair, but misleading to other readers. It’s like reviewers on Amazon who give a 1 star rating on a product because the item didn’t arrive within the 2 day Prime shipping window. Ugh! Brilliant post as always Christina, I can totally understand why so much of what you mention does your nut in too!! Of course you do!! Thanks, Donna! 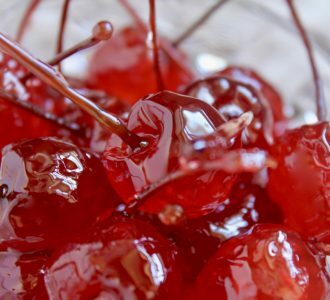 Such good points here – I like to stick to my cookbooks (can never had too many of those) but when I do venture online to look for a recipe I’ve got my favourite sites which I know will work Eton Mess a trifle – Phah! I do love cookbooks! I have a hard time purging my stash! Oh I do love when you go on a rant. I applaud you and your honest opinions. What helpful information you have shared in this post. I really enjoy reading your blog, enjoying your travels vicariously, and occasionally trying the recipes. I have always had good luck, so I trust you. Now — who is this blogger you mention who is a big phony? I want to make sure I don’t look at that one. As long as I have been cooking, I usually can tell by reading through them the ones which are guaranteed to fail. Thank you, Ellen. I’m very glad I’ve gained your trust. Unfortunately, I can’t publicize the deceitful blog for obvious reasons, but let’s just say that it’s not a very personal looking site (no photos to greet you when you arrive), at least at the time I write this, it is the case. If you follow my recommendations, you won’t end up using their recipes, so don’t worry. I trust your recipes and those you recommend because of all the above! If you recommend another blogger I check them out. I really appreciate knowing the stories behind recipes, etc. And I know that you have tested and tested them. Wonderful to hear, Susan! Thanks for your loyalty! I agree wholeheartedly on attribution. However, I have to quibble a bit on what you seem to be saying, i.e., you can’t trust a recipe that’s blogged by someone with no culinary training. Not so. Culinary professionals, proportionally, publish as many bad recipes as non-pros. It’s all a matter of taking care and testing, testing, testing. Also, if you have a broad enough culinary background, just from living the life you have, you can come up with recipes that virtually duplicate some classic you’ve never heard of. I look at food blogs, cook books, food photos and am so exposed to a wide range of culinary combos and techniques that now live in my head. Several times, I have made something and had someone comment on how much they liked my, e.g., bourek. Well, I’d heard of bourek, but I’d never eaten it or even seen one. I’d managed to make one, though, using up the tag ends of a package of phyllo, some leftover deli roast beef and things I thought would taste good with them: spinach, onion, feta, dill, garlic. So, it can happen. Hi beejay, I don’t know if it’s my writing or your reading, but there’s a big communication breakdown from what I just read in your comment. It’s almost quite funny, actually, because I have no culinary training, but I’m tell you that you CAN trust my recipes! ? So there’s no quibbling necessary as we’re on the same page. However, no I think I need to go back and clarify what I wrote to make sure others don’t also think I’m saying only to trust trained chefs! Trust me, I’ve made recipes from cookbooks and chefs that were disasters, I agree! if for no other reason it will help you make friends. Eton mess is delicious and is not a trifle. YES!! Get a scale!! :) Thank you, Madonna! Ah, Christina, amen to everything you’ve said! There is so much dreck and outright dishonesty out there, it can be discouraging. And it’s not limited to bloggers, unfortunately. Thanks so much for the shout out—I’m honored to be cited as one of the “good ones”. I certainly try to be! Of course, Frank! You’re such an inspiration to me! LOVE your site and recipes. You are authentic and real! Thank you!